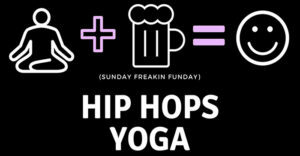 Ticket price includes: hip hop yoga class + pint of beer. New to yoga? This is your chance to give it a shot in a completely informal, fun and welcoming environment. If that’s not enough motivation, there will be awesome BEATS to flow to and BEER after, yassss! + Located at Tarpon River Brewing across from Grind Coffee Project. Parking outside of brewery. + Please arrive by 10:45am to check in and grab a spot for your mat. Class will begin at 11am . 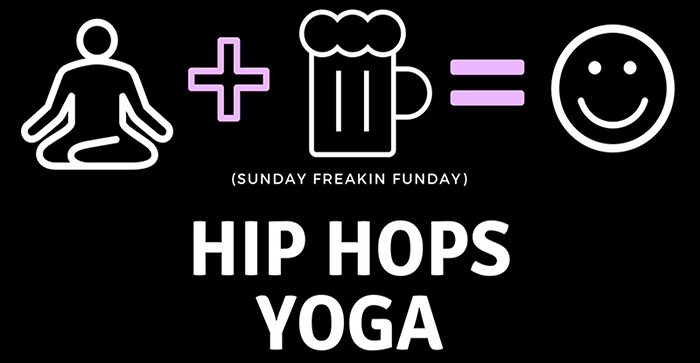 Beer will be served after class and you’re welcome to hang out as long as you’d like and Sunday Funday like the best of them. + Space is limited – buy your ticket for $15 early to secure your spot. Day of tickets are $20 and will be available only if there is space. + Bring your own mat. You must be 21+ to purchase a Yoga + Beer ticket. Under 21? You may still participate in the yoga class, but no booze for you! Tickets will be refunded only if request is made 24 hours before the event starts.